As March comes to an end, spring is in the air. The weather is getting warmer, the sun is out longer, and we are spending more and more time outside. Another thing I know I look forward to is spring cleaning! I love to open the windows in my house to air it out. Putting away my winter clothes and straightening up around the house just makes me excited for the nicer weather that's just around the corner. The bloggers at Upper Elementary Snapshots have decided to let you all do a little spring cleaning, too - but without actually picking up cleaning supplies! We want you to clean out those TpT wishlists! The best part is that we are going to help you get started! 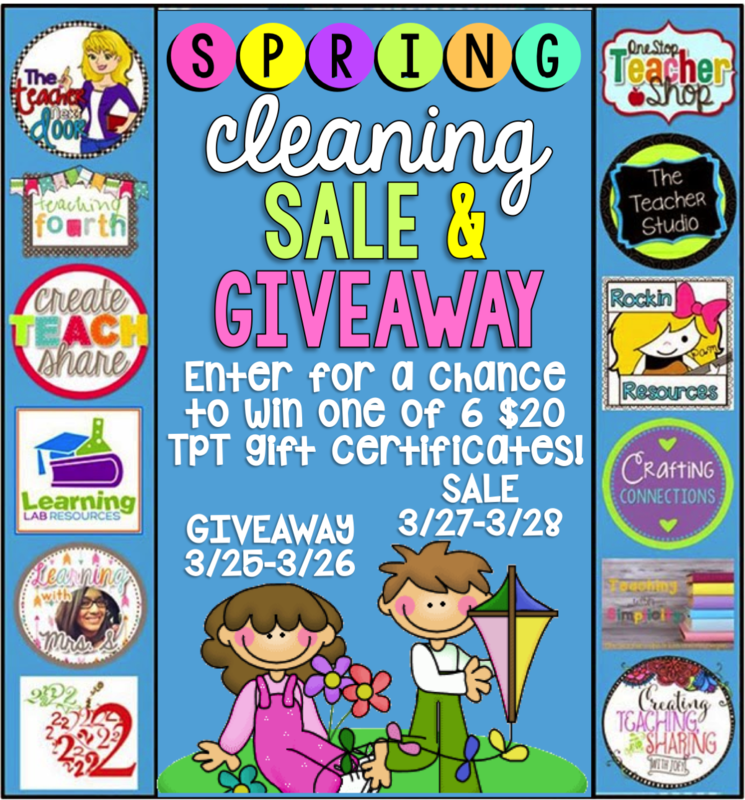 We are giving away 6 $20 TpT gift certificates. Use the Rafflecopter below for a chance to enter on March 25th and March 26th. Then, on March 27th and March 28th, our individual TpT stores will be on sale. This is the perfect time to grab some fantastic resources to finish up this school year! Here is a list of our stores - get up to 20% off all of our resources for 2 days ONLY! (Friday/Saturday) Happy shopping! !